Water waste and use on Whittier Colleges campus does not stop at the dorms, it also reaches out into the Athletic Center. 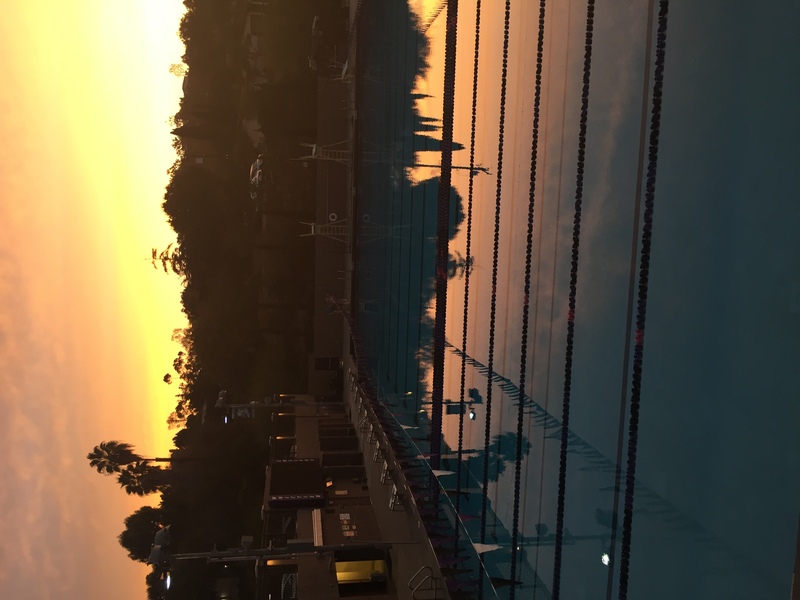 The AC is home to Whittier college collegiate training facilities (not including the fields) where athletes, and even students are able to train. These facilities include many water wasting appliances that are used daily, contributing to the overall campus water use and waste at Whittier. A major waste of water in the athletic center comes from water jugs used for the sports teams. 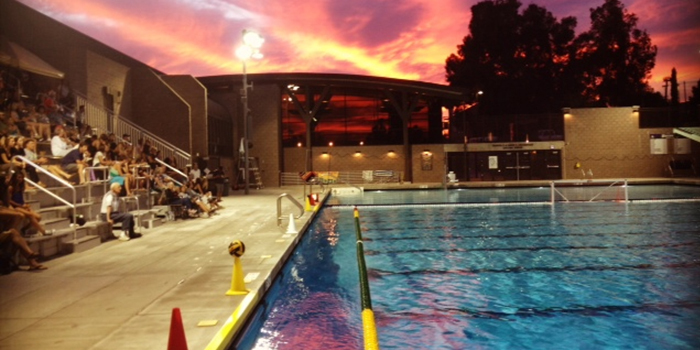 There are roughly 22 collegiate teams that compete on Whittier’s campus. Each team is provided with a large jug, sometimes more than one (depending on the size of the team) filled with water and ice for their practices and games. At the end of each practice or game the water left in the container(s) is dumped onto the field or track. Roughly 20,000 gallons of water and ice is wasted yearly due to this process. The Lilian Slade Aquatics Center is another major contributor to the water waste on the college campus. 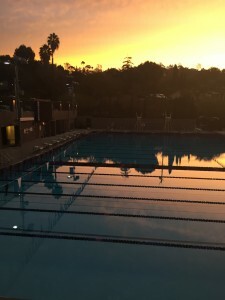 Throughout the day and into the evening the pool is consistently left without no cover, causing the water from the pool to evaporate. This process wastes roughly 15 thousand gallons monthly. 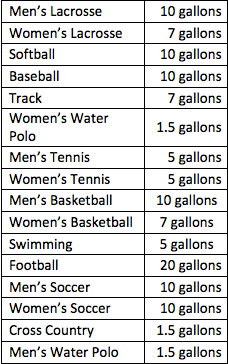 The bathrooms in the Athletic Center are yet another contributor to the water use and waste. Unlike some of the dorms, the bathrooms in the AC have not been changed to low flow appliances. There are two regular bathrooms with toilets and sinks, as well as locker rooms that have up to 3 showers. With all these water-using appliances it’s easy for the waste to just add up. Therefore, it would be beneficial to find ways to cover up the pools by having student athletes or hiring work study students to do the job. Also, looking into investing in more water sustainable appliances would help in the long run of maintaining a sustainable campus. Henly, Alice. “Collegiate Game Changers.” How Campus Sport Is Going Green (2013): 1-115. Collegiate Game Changers. NRDC, Aug. 2013. Web. 23 Oct. 2015. Scauzillo, Steve. “Droughts.” California Drought: Are Swimming Pools a Waste of Water? San Gabriel Valley Tribune, 18 July 2014. Web. 28 Oct. 2015. Pool Cover Specialists. Pool Cover Specialists. N.p., n.d. Web. 3 Nov. 2015.